What is an Auction Microsite? 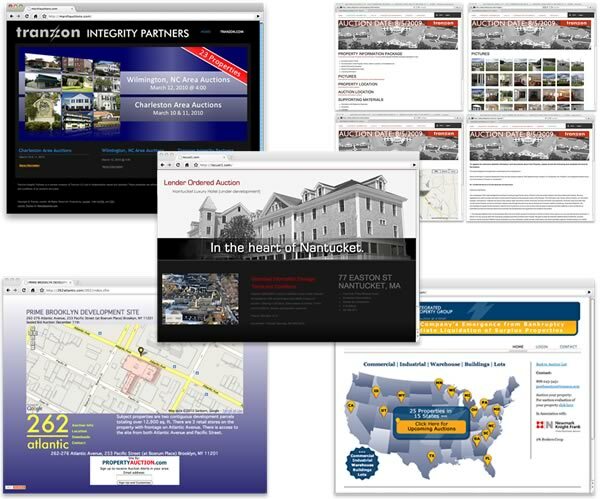 The Auction Microsite is a custom-made single page website that features a single or multiple property auction.The Auction Microsite ensures high-impact marketing that provides your prospects with all of the information they need (and want) in one easy-to-find location. Ditch the competition. Stop the confusion and drive prospects to one online location for your specific auction. Track where your marketing dollars are going. 3. Custom Statistics We can insert your Google Analytics Account, or use our awesome statistics platform. Need a more robust solution? Looking to build out your website or a multi page dedicated auction website, look no further. PropertyAuction.com has developed tons of real estate related websites. Please contact us today for a quote.